“AWRD” recruits ideas for a theme, and honors the applicants according to evaluation criteria. It is an approach often used in an artistic context such as video, literature and painting. Recently, various companies have adopted the award approach for developing new businesses and products. 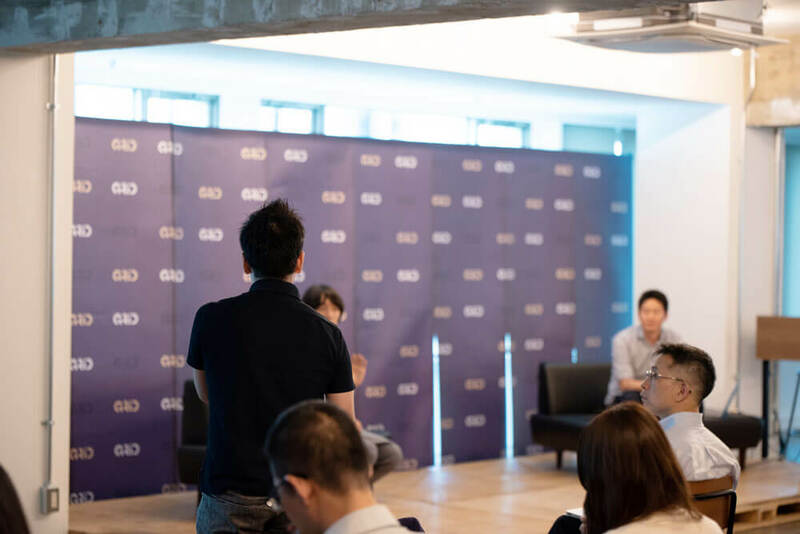 The reason behind this is the growing necessity for “open collaboration,” to rediscover the appeal of a product which would not be recognized by working on development internally, or to come up with new ideas of how to utilize the product. How can AWRD help create new values by actively incorporating external perspectives with information being disclosed to the extent possible? In the event held on August 29th, “AWRD presents: Is it individuals that create innovation? Or is it corporations? 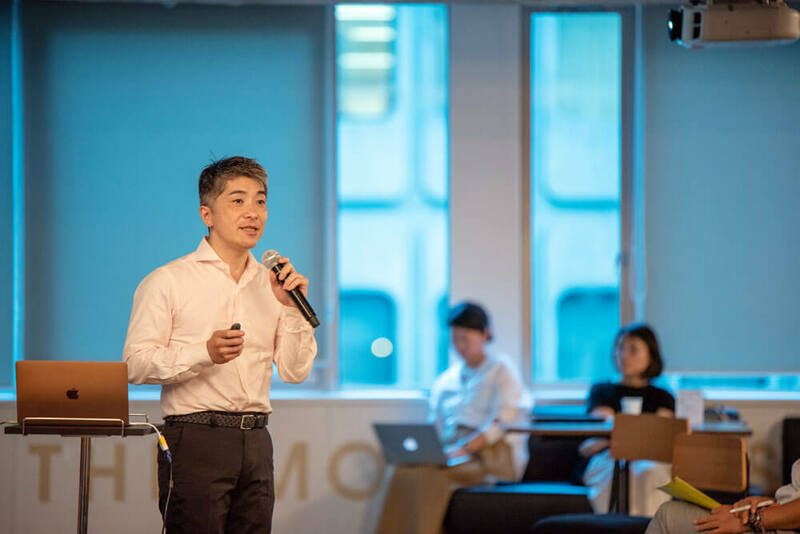 Award-type projects democratizes ‘value creation’,” representatives from the companies that have been tackling business development and value creation by adopting the award approach were invited to think about its significance, benefits and challenges. Innovations born by creating contact points between creators’ talents and projects. 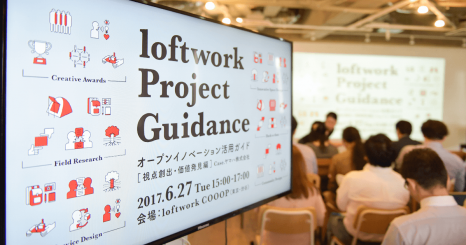 Loftwork started the platform “AWRD (award),” which connects organizers with creators for businesses to advance in co-creation by incorporating external knowledge. How can the new service, “AWRD,” contribute to creating new values and innovation in business? “AWRD (Award)” is a platform that connects creators around the world with corporate organizers at various scales ranging from global awards to one-day hackathons at various phases of the company’s manufacturing processes such as “value discovery,” “value verification,” “content development,” “branding & PR.” It features designing an entire project beyond operating a contest but to fit individual needs of clients. An important point that differentiates awards from general competitions is that it is not a mere competition for superiority of an idea. The role as a hub for building a community arising out of the connections that the company can make not just with creators but also with judges, sponsor companies, followers, etc. is also a characteristic of AWRD. 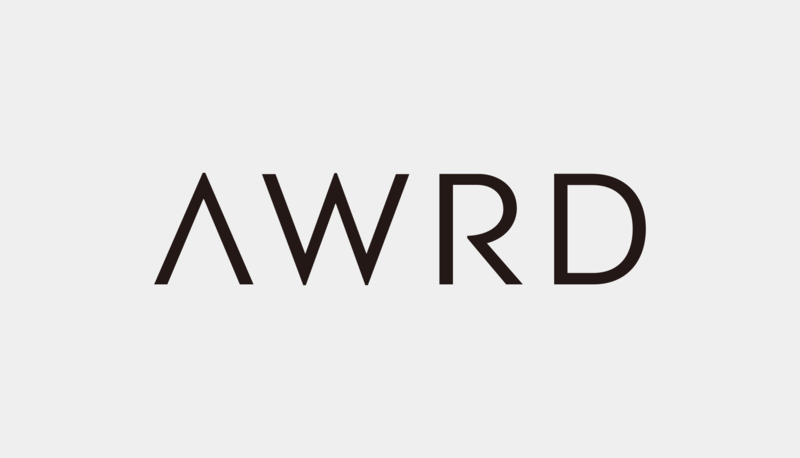 A New Co-creation Platform, "AWRD (Award)"
AWRD is an online evaluation platform for hosting competitions and hackathons. It is a system to present prizes for submissions invited upon its own unique themes. Since works of all genres and forms of expression are collected, different perspectives on a theme are expected to be discovered. It is effective in accelerating business as an initiator to reframe (redefine) the value of projects and create contact points with society. 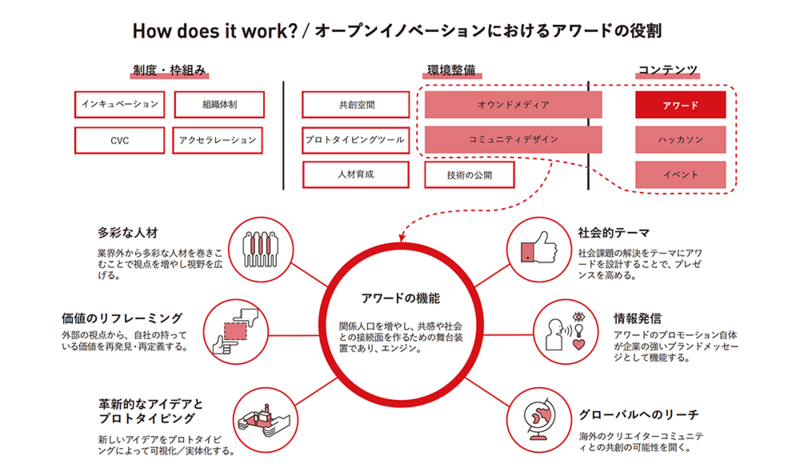 Prominent Japanese companies are actively adopting the award approach, too. 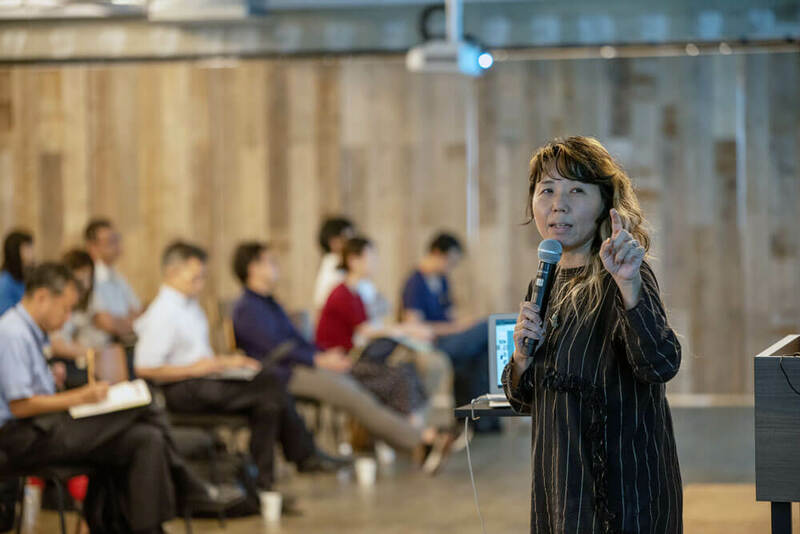 Ms. Yoshiko Toyoda, who engages in activities to support art in the Corporate Culture Department at Shiseido, and Mr. Kevin Kajitani, who works for the Digital Design Lab at All Nippon Airways Co., Ltd., each presented their initiatives that utilize the award approach. Since 2006, Shiseido has hosted exhibitions of publicly invited works entitled “shiseido art egg” at the Shiseido Gallery, an exhibition facility owned by the company to support the activities of new artists. This was started based on the company’s corporate philosophy of “Appreciate and Inspire New Values.” The exhibition is arranged by selecting an artist to work with on a solo exhibition from publicly invited submissions of portfolios and solo exhibition plans. “The first president Shinzo Fukuhara had been studying paintings and photographs since childhood and had dreamed of becoming an artist. Before joining Shiseido, out of his devotion to art, he studied in the US and Europe where he met young artists from Japan. After returning to Japan, he realized that the fledging artists that he met during his study abroad had no place to present their works, and so in 1919, founded the Shiseido Gallery in Ginza, the district where Shiseido was originally founded. Ms. Toyoda talked about the background of how these activities started in Shiseido, and its role that has changed as the time progressed. All Nippon Airways (ANA) "WonderFLY"
I am American, and I came to Japan eight years ago. When I lived in the United States, I had the impression that “Japanese things were cool,” but at the same time, I also felt that Japan’s innovative branding had been fading for the past ten to fifteen years. However, when I came to Japan eight years ago, I realized that there were still many innovative products in Japan. Japan is at the forefront not only in technology, but also in experiential art, and it also has potentials in the cultural domain as manga is popular around the world. The problem was that its potential and output were not linked. I thought if a breakthrough could be achieved, a huge amount of potentials remaining dormant in Japan might be released abroad. Also, I had experience looking at a lot of data in my previous department, and I discovered something interesting from it. My own experience and “realization” led to the launch of the service. And from the summer of 2018, we started a project to collaborate with “AWRD.” Kajitani says that the purpose of this service is to serve as an exit way for the ideas that many creators around the world have. After the presentations by both presenters to encourage value creation through awards, many questions came from the audience. 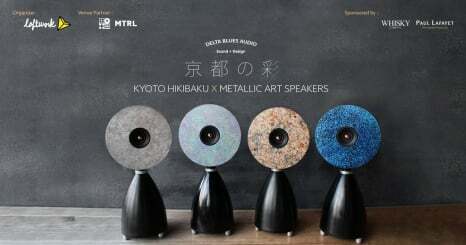 ──“Art into Business” is a phrase that is often heard these days. How was that kind of mind set installed into all employees as a DNA of the corporation? Toyoda　We sometimes ask artists who exhibited their work at the Shiseido Gallery to create corporate advertisements, etc. In the Corporate Culture Division where I work, we operate the corporate archives that collect and display the products and advertisements like posters from the past and edit the corporate culture magazine, “Hanatsubaki.” I think that the creativity of the employees is partially linked to such creative activities, which convey the culture of the company. We always thought that art and cosmetics share an affinity in the sense of “pursuing beauty.” Therefore, we weren’t forced to think that “it must be connected to business.” However, as the management changes, so do their ideas. With every change, we have to logically articulate and explain the significance of our activities, which we find difficult. ── I assume that these activities as corporate activities are evaluated in terms of ROI. How do you meet such requirements? Kajitani　In the decision-making process within the company, we discussed the ROI and KPIs. Of course, as a business, we aim to achieve numerical targets. 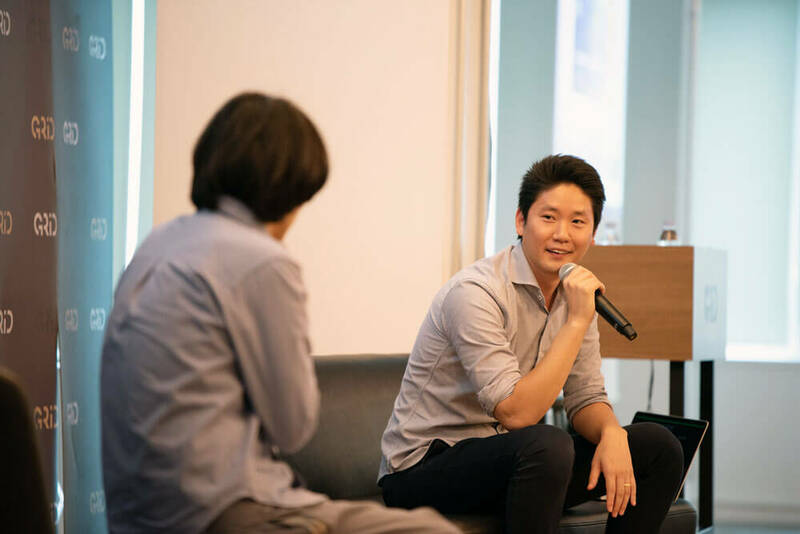 But because the recognition of crowdfunding was low in the first place, we were feeling the difficulty of developing this market. In such a situation, we established three pillars. Branding, and income from what we call “non-air”―meaning business other than aviation, and an effective use of tangible and intangible assets. Since it’s been a year and a half or two years since the launch, we are thinking it’s about time to put income in mind to reach our next level. However, at the moment, emphasis is placed on branding. We are trying to tackle this by media exposure and creating new networks. 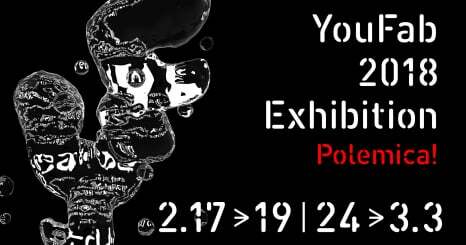 ──I am guessing that there are many applicants who wish to be aided or supported after achieving exhibitions and projects. But, as the number of projects increases, the number and necessity of subsequent support is likely to increase. Are you taking any measures? Toyoda　We don’t just end with an exhibition at the Shiseido Gallery. We are willing to continue support. However, some applicants don’t require support. Our basic stance is to respond when there is a request. Of course, the number of cases will increase, but we also try to support new applicants as much as possible. Kajitani　Crowdfunding is something that is basically completed within its boundary. So we don’t need to add anything. How we scale the gateway of creative awards, and also, how we hand over successful cases is an issue. For example, there is a company that manages our e-commerce called All Nippon Airways Trading Co., Ltd. The company needs to establish broader connections and increase staff members specializing in such services. It is an approach to make effective use of the resources within the group to grow. Yamaha Corporation is also one of the companies utilizing AWRD. 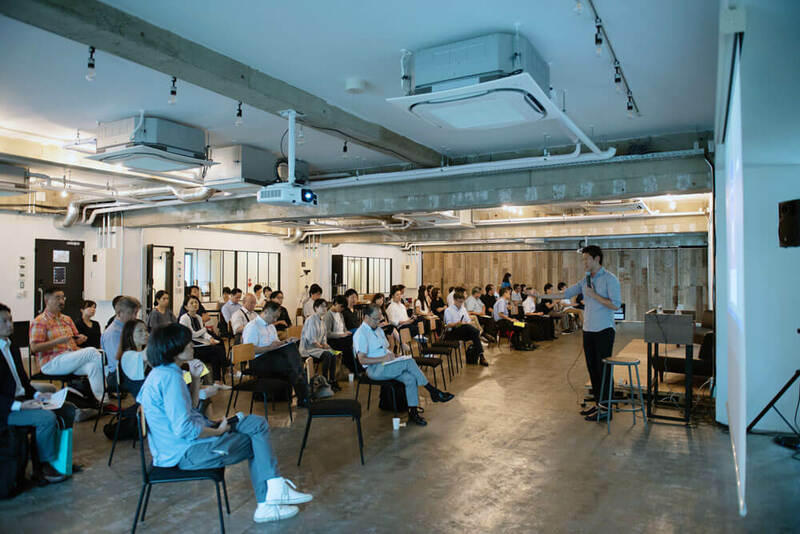 They hosted a global award using the platform “YouFab” that recruits works that arise out of collaboration between the “digital world” and “physical manufacturing.” Is problem solving only the approach available to corporations for creating new values? This question was the start of our collaboration with Yamaha. From “problem solving” to “raising a problem,” a co-creative platform project for creating new values for corporations. 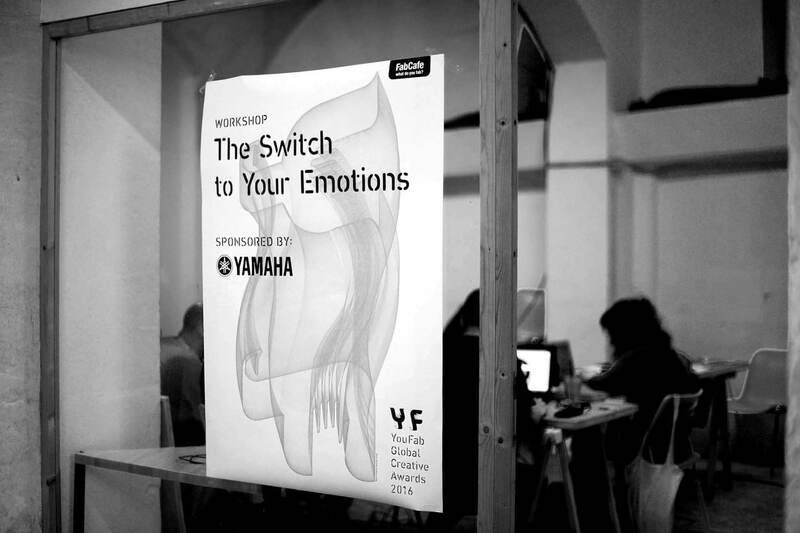 Inspired by Yamaha’s slogan of “Sharing Passion & Performance,” we sought works with the theme of “The switch to your emotions.” 147 works were entered from 27 countries and regions. Prototypes were created by the winners with Yamaha and ended up being presented in an exhibition. The “NEWVIEW” project organized by the three companies, Psychic VR Lab, Parco and Loftwork is an experimental project/community that brings together people who embody contemporary culture in areas such as fashion, music, video, and graphics to design new creative expressions and experience in three dimensions. “STYLY,” is a tool that can create 3-dimensional (VR) spaces without programming. The Aim was to create a VR movement in the domains in closer relation to our everyday life (fashion/culture/art), to discover and nurture creators of the next generation. Although the bars seem high to submit VR contents, by designing offline and online PR & communication strategies, we were able to achieve 219 entries. 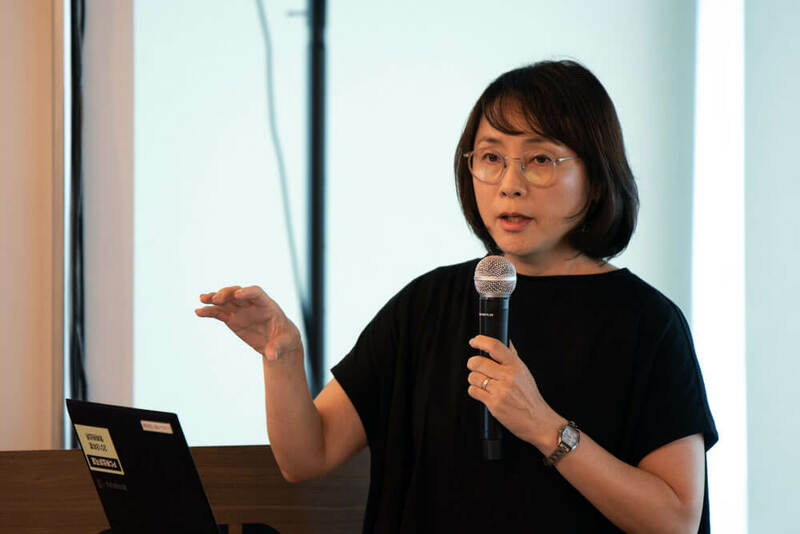 In the closing session, Suwa from Loftwork stated, “The great feature of AWRD is that we can discover missing pieces, meaning we can meet lots of ‘N’s. 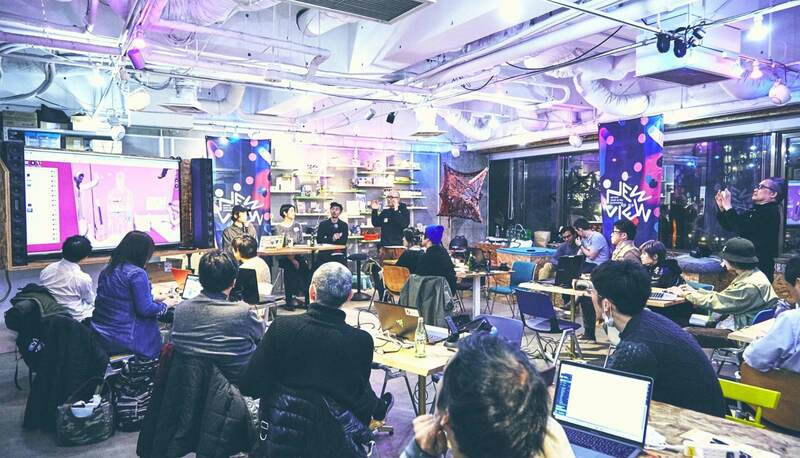 We want to operate it as an open framework to connect a variety of creators around the world.” “AWRD” is a platform that greatly accelerates value creation in business. The trajectories of the projects and activities born out of it will be updated at loftwork.com. Please stay tuned to check it out. AWRD presents Is it an individual to create innovation? Or is it a company? AWRD type project democratizes "value creation"